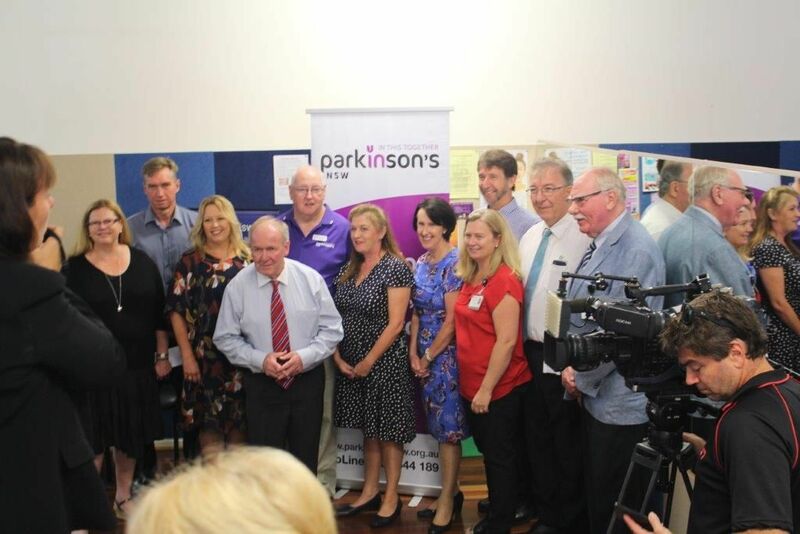 At a star-studded function on Tuesday 27 November, Port Macquarie's new Specialist Parkinson's Nurse-Educator was introduced. MC of the event, Parkinson's NSW CEO Jo-Anne Reeves called on Parkinson's NSW Board President David Venness and NSW MP for Port Macquarie and NSW Parliamentary Secretary for Rural and Regional Health Leslie Williams to make the announcement. Other luminaries attending the event were Mid North Coast Local Health District CEO Stewart Dowrick, Port Macquarie Mayor Peta Pinson, Deputy Chair of the Mid North Coast Local Health District Neville Parsons and Board members Dr John Barrett and Professor Gail Whiteford. Executive and members of Port Macquarie Parkinson's Support Group and staff of Parkinson's NSW and MNCLHD completed the audience. And, of course, Guest of Honour was Nurse Rachael Mackinnon. Left to right, Lynn Lelean, Jo-Anne Reeves, Stewart Dowrick, Mayor Peta Pinson, David Venness, Gregg Faulkner, Rachael Mackinnon, Leslie Williams MP, Cassie Carswell, Vince Carroll, Neville Parsons and Dr John Barrett.